Welcome to Salt Lake City, Utah, Utah. We hope to provide you with all of the information that you could possibly want, and show you some of the attractions that we have to offer! Our complete guide to Salt Lake City, Utah will have information for your visit. in our lodging section you can find links to hotels, motels,and bed and breakfasts in Salt Lake. 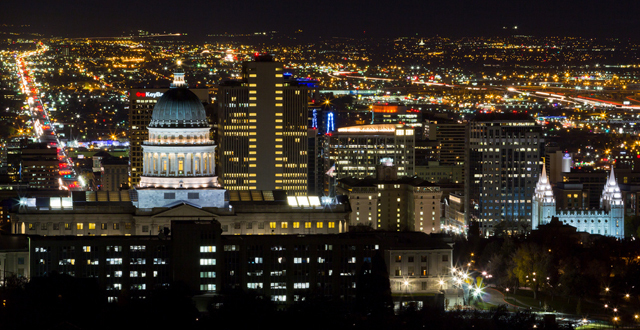 Before you visit feel free to check out our photo gallery to see the beauty of Salt Lake City, Utah. You also may want to check out the map section of Salt Lake City, Utah. Here are a few cities to visit on your way to Salt Lake City: Las Vegas, Panguitch Lake, Duck Creek Village, Cedar City, Brian Head, Kanab and St. George. When you visit Salt Lake City you might want to visit all of the other National Parks nearby. Here are a few National Parks to visit: Bryce Canyon National Park, Grand Canyon, Arches National Park, Capitol Reef National Park, Lake Powell National Recreation Area, Canyonlands National Park, Zion National Park and Escalante Grand Staircase National Monument.